14th Barcelona International Festival of Advanced Music and Multimedia Art. 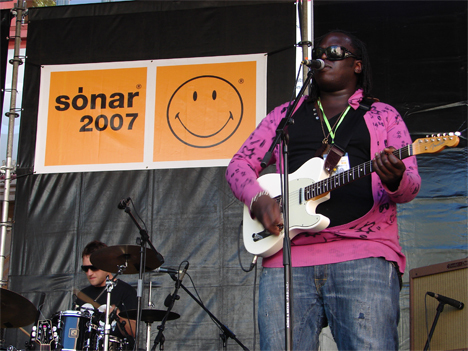 Recently, Barcelona has increased its festival offer, but there is one that after 14 years is still being considered the best Festival in the world in the field of avant-garde music: the 14th International Festival of Advanced Music and Multimedia Art in Barcelona, Sonar. The veteran festival has gotten known in the past few years by expanding to other cities, like Tokyo, Seoul, Buenos Aires. But the main event, the most visited and waited for is still being the Barcelona one. Long before the line-up is completed, the image of the festival starts to reveal its general ambience. This year the legendary icon SMILEY brought back all the color and the memories of those never-ending rave parties and the acid-house music from the end of the 80’s. That was the face of the festival, smiling, fluorescent, dancing till it dies, nu-rave… the 14th edition started bringing the summer to city. 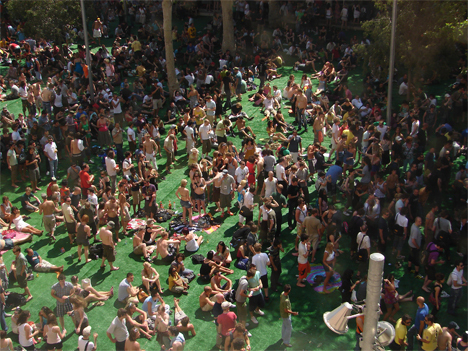 The first day (14 June) started with people waiting inside the grass field of the Sonar Village stage. 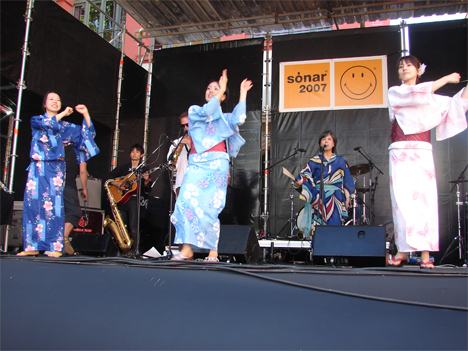 As early as 16.00pm, the UK group (Accidental label) Setsubun Bean Unit, contributed with the first jewel of the day with their own interpretation of the Japanese folklore and jazz, funk and dub with a great band and lots of sense of humor and the wonderful presence of traditional Japanese BON dancers wearing beautiful kimonos. Right afterwards, inside the CCCB (Contemporary Culture Center) at the Sonar Hall stage, FM3 put on a strange show playing The Buddha Machine. Blixa Bargeld, vocalist of Einstürzende Neubauten, went up the stage armed with the Buddha machines, and played a mix of a chess game and a concert with the notes and the loops of the machines. 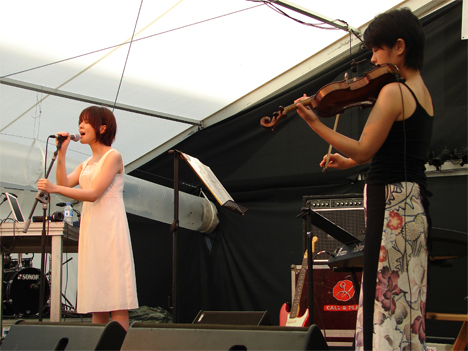 Outside at the SonarDome tent, the Japanese Piana performed an intimate and delicate concert helped by a violinist. It was characterized by sweet arrangements and her captivating voice.